Hello everyone, The team has asked me to introduce myself and my country for those of you I have not met yet. My name is Inga and I started my journey very spontaneously. A tiny bit more than 5 years ago I came to England for a summer holiday (I often joke that I am still enjoying the holiday!) I come from a small Eastern European country called Lithuania. Often people have no idea where it is, because they may never have heard of it. It is small, beautiful and very rich in culture and history. The capital, Vilnius, will celebrate its 400th birthday in 2018. Since we became an. From April 1st 2017, prices on most services will be raised by £1. Authentic CND Shellac painting services will increase by £2 This is a necessary increase to keep us viable moving forward and protect (and help prosper) the opportunities within the business. You may have seen on the news the furore about the Business Rates increases and we have been unbelievably hit in this area. Since our rapid growth started 2 years ago. We have incurred the following increases in operating costs- We hope that next year there can be some more sensible government decisions, which fuel the life of the town centre. If this is the case, we. ‘Pretty Poly!’ When your technician is crafting an extension. There isn’t much too it really? Is there? I mean really? Come on!!!. Dip the brush in the liquid. Then in the powder…brush it on your nail. Bish Bash Bosh. I mean they do 1 day courses on it right? So it can’t be that hard? I can forgive you for thinking this, especially if you are sat with Michaella in Alton or Danni in Petersfield, making it all look as easy as pie….well like any good recipe, the art of making the perfect extension is deceptively difficult. Here is a quick glimpse into the complexities that are part of the. At Amy’s Nail’s we do extensions in all shapes and styles. Our clients that like long nails, heed the advice below and work with us to keep their natural nails as healthy as poss. But if your umming and ahhing about nail length…make like the film and ‘Get Shorty’. 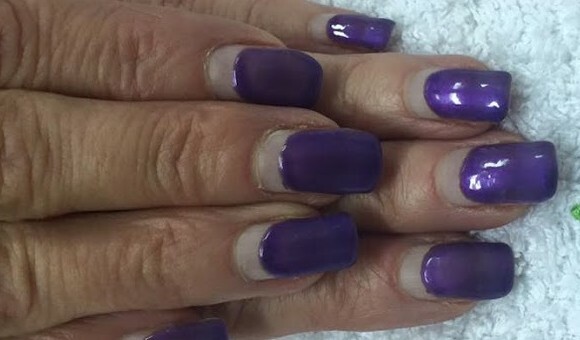 As we have already learned, your nail plate is attached to living cells, connected with blood vessels and nerve endings. When you have an extension service you are adding extra weight to the nail plate. So every good technician will mimic evenly load-bearing shape of the natural nail plate. Thanks for reading this article, I’m sure you will be interested to. All polishes are primers (ish) Your nail is a chemical right? (keratin) If you didn’t know that, you should go and read last weeks blog again then join us here in few minutes. Touch the area of skin closest to the white bit (lunula) at the base of your nail. Bit squidgy right?